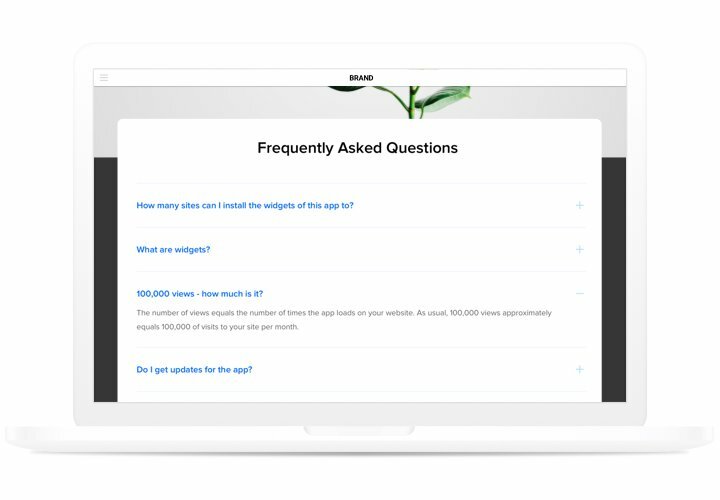 Elfsight FAQ is a convenient, easy to use and adjust application to display a unit of the most needed questions with answers on your personal site. An interactive extension with easy navigation allows you to show full data about your business, concentrate readers’ attention on positive qualities of your products, and fight any doubts and disbelieves, which could prevent purchase. React on the appearing questions of your visitors at the earliest, and level up sales on the website! Convince users to purchase with the help well-composed texts. 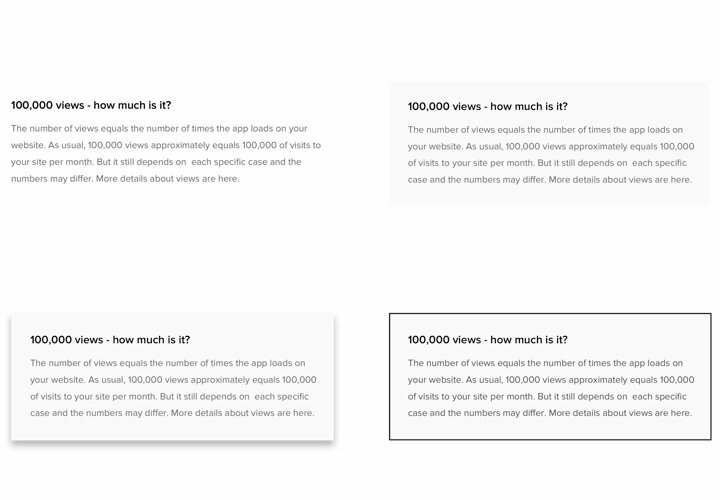 Display answers to basic visitors’ questions beforehand and assure them to finish a purchase on your site. Achieve the ultimate understanding by customers of your product or service. 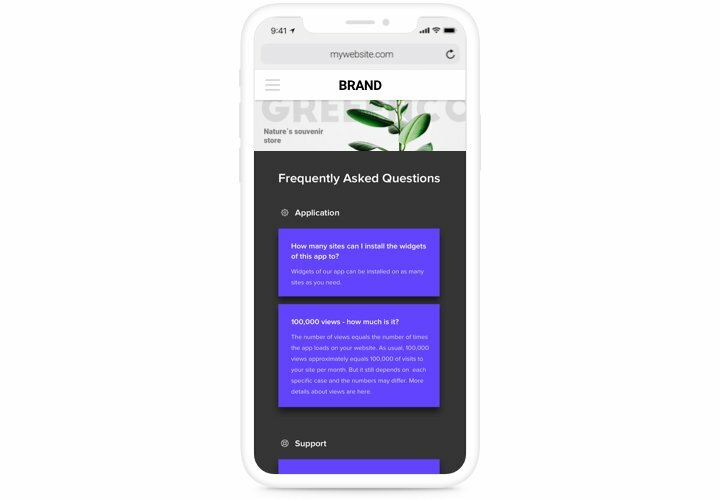 Fight the most popular misconceptions and fears connected with your brand with the help of complete and clear answers. Lower down the time and price of help center work. 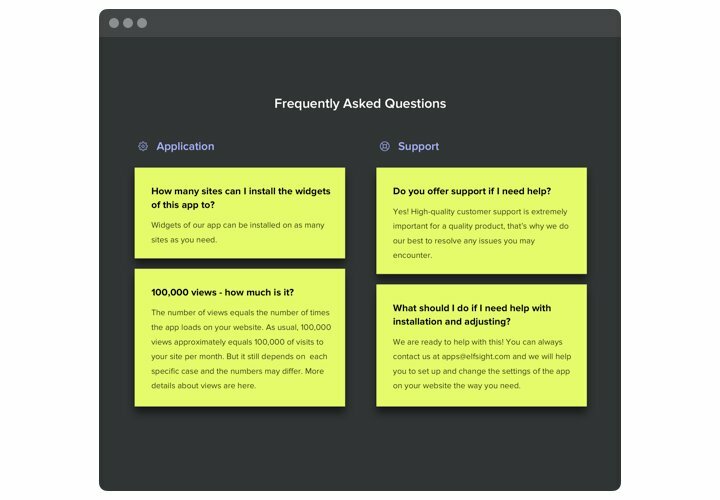 Display answers to all the most popular questions about your products or services, to reduce the excessive load of your customer support. The key aspects of Elfsight extension, which make it one the handiest extension for installing FAQ on Joomla website. Install the plugin following our concise manual. You don’t need to have knowledge in web development, or to find a developer. Total installation time is 80 seconds. Get the extension and integrate it into the site. Acquire the extension via «Download» link from FAQ page on Joomla Marketplace and embed it on your site. Install and construct the extension. In «Install Extensions» section on «Upload Package File» tab, install Elfsight FAQ. Next, go to «Components» section, choose the installed extension and configure the required settings. 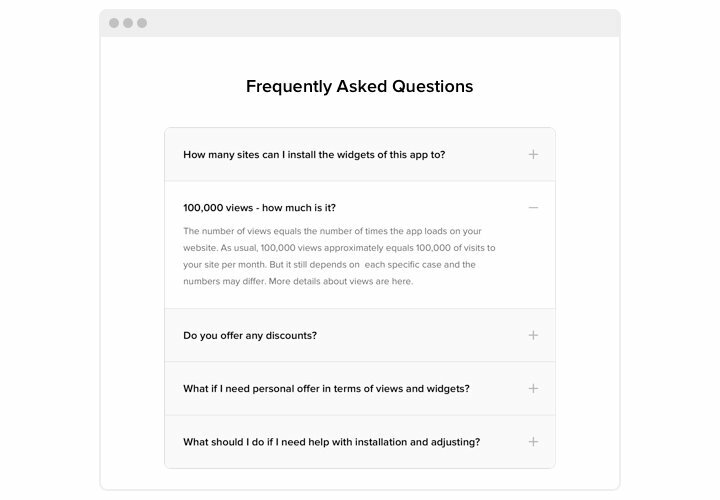 Add FAQ extension on your site. The personal code, received after installation, should be placed to the required page of your site. Then publish all the changes. Widget installation on Joomla is complete!. 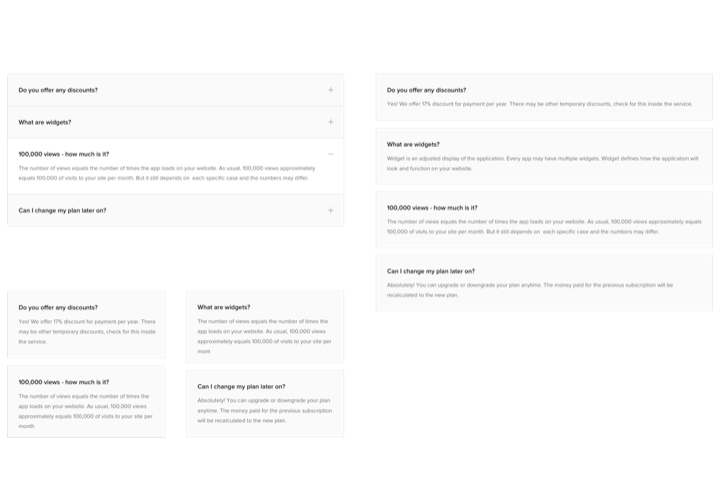 Enter your website, to view your FAQ! Having issues while carrying out the instruction? Address Elfsight support center or study the complete variant of the manual «How to add FAQ to Joomla» and finish the setup on your own. Get Joomla FAQ extension in only 80 seconds!